but was renamed Southampton Docks in 1858, Southampton Town and Dock in 1896 and finally Southampton Terminus in 1923. 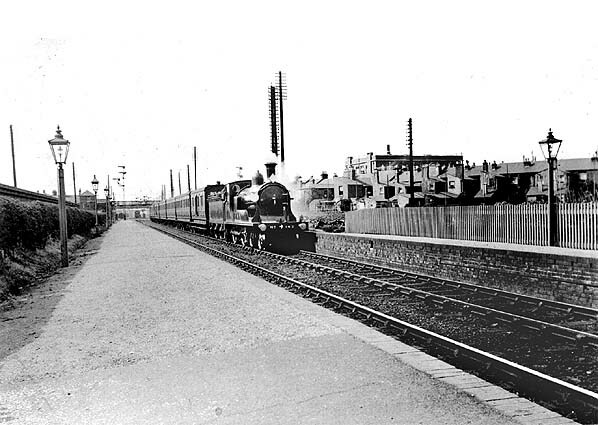 The area of Northam was some distance short and the local inhabitants campaigned for an intermediate station. 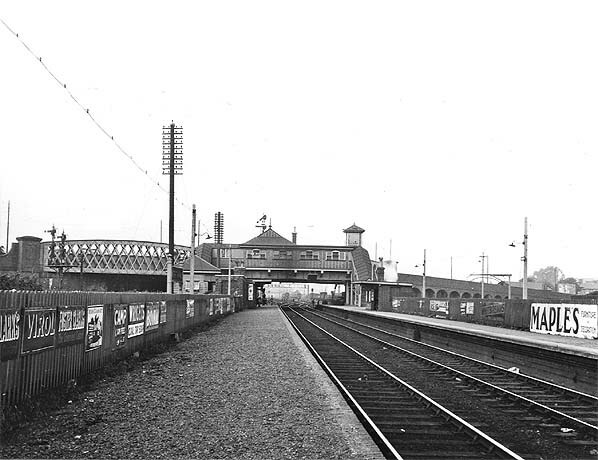 Representations were made in the late 1860s and a site was considered in the vicinity the present Mount Pleasant level crossing but eventually the station was built on the south side of Northam Road bridge close to the earlier temporary terminus. available from the station, passengers to the station bought tickets to Southampton with Northam acting as a ticket platform. 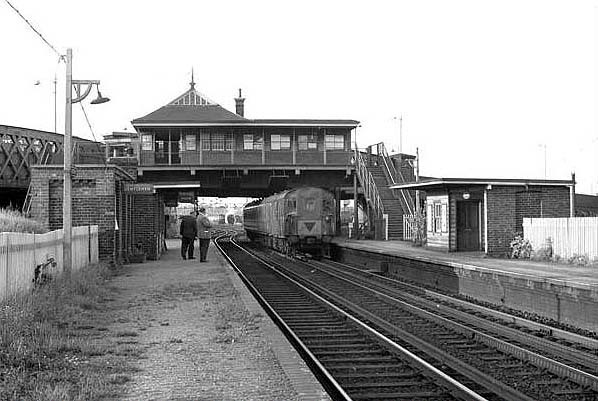 Although situated at the junction of the line from Southampton West (now Central) the two platforms at Northam served only trains to and from the Terminus. The original offices at the London end of the station were built of wood. These were adjacent to the road bridge and each platform had a separate entrance accessed by steps from the bridge above. Northam also had a very large engine shed - for the time. It was14 roads wide, but short in length, with probably room enough for only 2 locos under cover. It opened in October 1840 and closed 1st January 1903, when Eastleigh came into use. 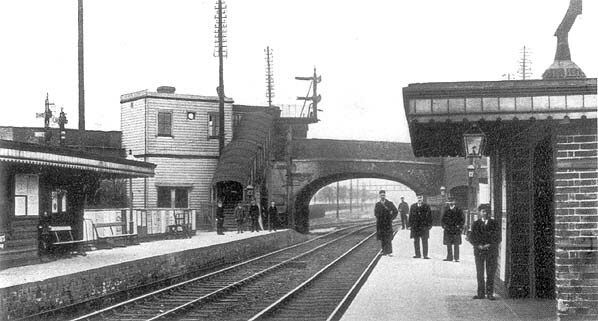 The bridge itself was rebuilt 1908 with just one station entrance retained and new buildings and a footbridge were added. With most main line services running from Southampton Central, passenger traffic from the Terminus via Northam were in decline and by the late 1950s services were running only to local destinations and rural locations such as Alton via Winchester. remains, although a single line still runs through the site carrying traffic to the Eastern Docks, together with a shunt loop for the nearby Siemens train care depot for SWT. 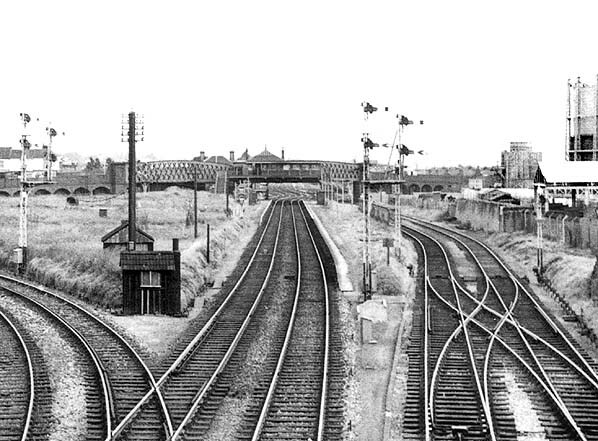 Northam Station looking north in June 1964. Note the reduction in length of the 'up platform. 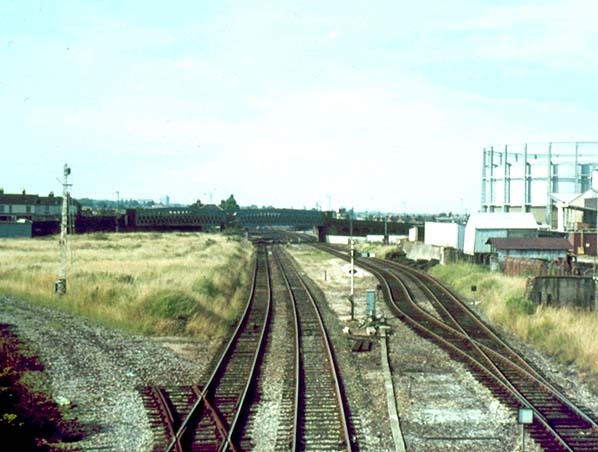 The site of Northam Station looking south in 1993. 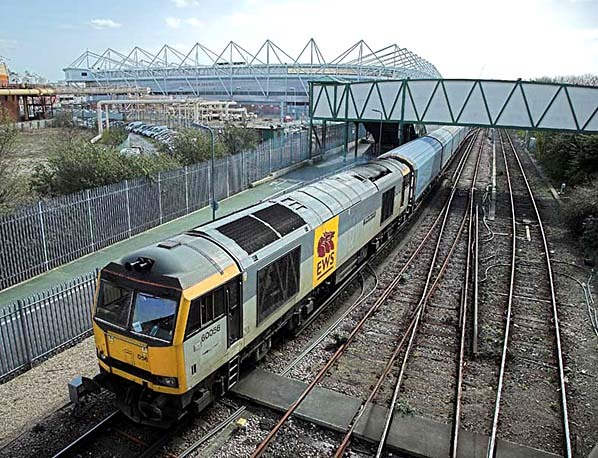 56073 having run round its load from Hamworthy - Cardiff Tidal after picking up empties from Northam Yard. 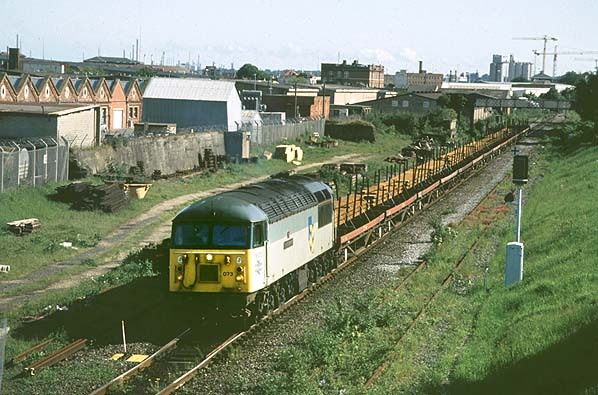 The Eastern docks branch is disused and overgrown on the far right. The site of Northam Station looking south in April 2008. The train is a car transporter bringing wagons from the wheel lathe in the SWT depot at Northam. It is reversing down to use the crossover just visible below the footbridge to gain access to the middle road and then use the crossover directly below the bridge to rejoin the mainline. On the left, the line of cars marks the route of the old 'Bull's Run' tramway to Belvidere Wharf (latterly diverted to Dibles Wharf before closure). The 'Main Line' is now single track by the time it reaches Chapel Road and Canute Road crossings just to the south of the photo.